After whats been just about a year's sabbatical from the marque, Scottish born New Zealand resident Tony Quinn returns to the Aston Martin Racing fold for the next round of the Australian GT Championship from Sydney Motorsport Park this weekend. 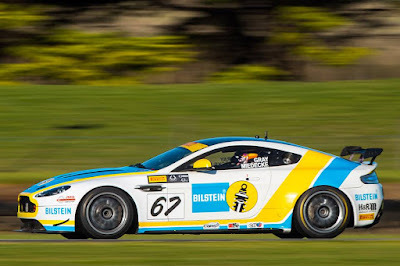 Having swapped his own V12 Vantage GT3 in favour of his son's former 2016 championship winning McLaren 650S instead back in March last year, racing performances didn't always go exactly to plan for the then main stakeholder in the Australian GT Championship. 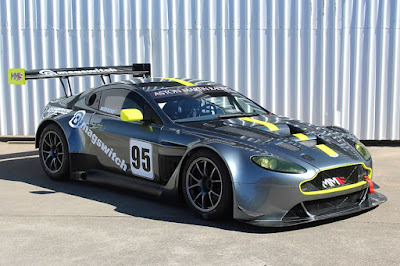 Having relinquished that controlling interest in the Championship only a few weeks ago, the Championship has confirmed an entry for the main Aston Martin Lagonda protagonist in Australasia with a car undoubtedly brandishing more logos of another one of his food empires. 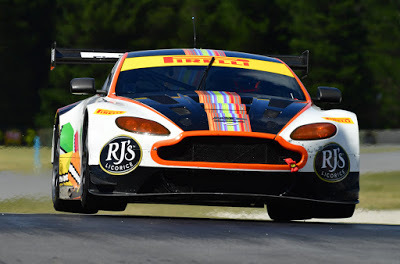 Quinn rejoins the Miedecke Motorsport V12 Vantage GT3 entry for Andrew and George Miedecke for what is expected to be (at the moment anyway) a one off entry for the father/son duo in the main championship. Rounding off the AMR entry for Sydney Motorsport Park is of course the GT4 Championship leading V8 Vantage of Jeremy Gray who enjoys a lead of 170 points with just two rounds remaining. Gray recently tested the Miedecke ran GT3 at the circuit earlier this month in a possible developmental step for him next year. The fifth round of the season will kick off with practice, qualifying, and an opening 40-minute race on Friday August 3 followed by two more 40-minute races on the Saturday August 4.